Dr. Brian Shiple is a recognized leader in the fields of interventional and integrative orthopedic medicine, regenerative injection treatment (RIT), sports medicine, and diagnostic ultrasound. He has been in private practice since 2007 after completing thirteen years as the division Chief of Sports Medicine and was the founder and director of the Sports Medicine Fellowship program at Crozer-Keystone Health System in the Greater Philadelphia area. He is involved in clinical research and is an active member of various national sports medicine and orthopedic organizations. In the past fifteen years, he has spoken at over one hundred conferences and taught RIT to more than a thousand doctors from eighteen countries. He has also made eleven medical service trips to Honduras and Mexico where he taught physicians from around the globe to perform prolotherapy treatments to underserved people in that country. Dr. Shiple has taught at the Philadelphia College of Osteopathic Medicine and has held an academic appointment at Temple University School of Medicine. He is a member of the American Osteopathic Association, the American Academy of Family Physicians, the American Medical Society for Sports Medicine, the International Cellular Medicine Society, the American Association of Orthopaedic Medicine, and the International Spine Intervention Society. In addition to helping thousands of patients through his own practice, Dr. Shiple served as team physician to several local school districts, was the founding medical director of the Philadelphia Triathlon at Fairmount Park, was the chief medical officer of the Pennsylvania State Games from 1994-2006 and was a volunteer team physician of the US Olympic Committee in Colorado Springs in 2003. Dr. Heather Rooks is passionate, skilled and experienced at finding and addressing the root physiological, biochemical, hormonal and neurological imbalances causing the poor health status of people today. In the current health trends we see today, most patients that seek her help have been the traditional medical route with no positive result or have been managed chronically with prescription medications and one procedure after another, with no real change or return to health. Due to the overwhelming stress, poor food supply, and consumption and over use of pharmaceutical drugs, as a society we are extremely imbalanced and this has led to an overwhelming need for an integrative perspective view of health care. In this model of care, Dr. Rooks utilizes a Functional Medicine approach emphasizing bodily cleansing and detoxification, clinical nutrition with nutrition supplementation, lifestyle modification, nervous system and skeletal balancing through Chiropractic care and stress reduction techniques to help clients recover their health and truly heal. She utilizes breakthrough diagnostic testing and analysis that’s rarely done in conventional setting, when needed, to uncover the hidden, underlying causes of health concerns. She takes great pride in delivering personalized healthcare programs for patients as well as providing an environment that supports and inspires patients to reverse their poor health, optimize their health and their quality of life. A graduate from the University of Delaware, with a BA in Biology and a Minor in Women’s Studies. She attended Life University for her Doctor of Chiropractic degree, and has extensive Postgraduate education in Functional Endocrinology & Clinical Nutrition. Outside the office, Dr. Rooks enjoys time with her son, Rook Orion, and extended family and friends. She feels most ALIVE when exercising, on spiritual retreats, traveling and on humanitarian mission trips. She relaxes with meditation and bodywork and also loves Yoga and any kind of fitness. 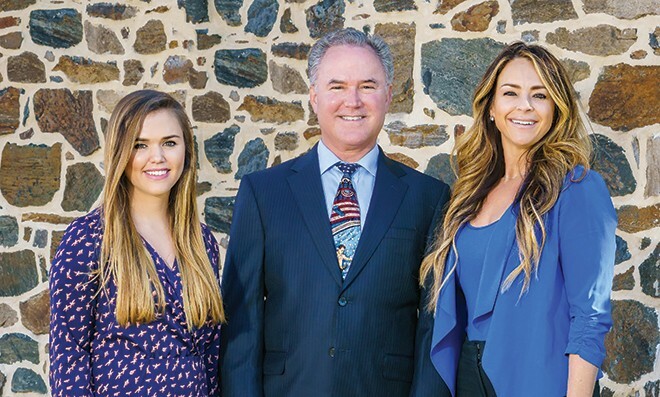 Kelly Shiple is a physician assistant at Chadds Ford Wellness specializing in bioidentical hormone replacement therapy and aesthetic medicine. She grew up in Wilmington, DE and is a graduate of Ursuline Academy. She then went on to become a Blue Hen as a fashion-merchandising student. Kelly later switched to pre-med to follow in the steps of her father after traveling on a medical mission trip with the Hackett Hemwall Foundation to help the less fortunate population of a third world country in Honduras. She graduated from the University of Delaware with a Bachelor’s of science in exercise physiology. 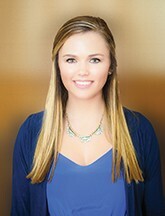 Kelly went to Nova Southeastern University in Orlando, FL for PA school and graduated in August 2014 with her Master’s in physician assistant studies. She spent her last rotation in Sarasota, FL with Dr. Joseph Greco, a world-renowned physician assistant and doctor of education who developed a protocol using platelet rich plasma (PRP) for hair and skin restoration and rejuvenation and has participated in studies all over the world proving the efficacy of this procedure. She was trained by Dr. Greco to perform scalp and facial PRP injections. Kelly then returned to Pennsylvania to work with her father, Brian Shiple, DO, at the Center for Sports Medicine and Wellness. She spent a year training with him in nonoperative orthopedics and bioidentical hormone replacement therapy (BHRT). During this time Kelly was also trained in microneedling with PRP by Blade Tiessen, a paramedical aesthetician from Ontario, Canada, who has been deemed a pioneer of collagen induction therapy. Kelly currently performs neurotoxin, dermal filler, and aesthetic PRP injections along with some ultrasound-guided sports medicine procedures and bioidentical hormone replacement therapy. Thank You Dr. Brian Shiple for hosting our profile shoot at your office. Dr. Shiple’s Mission at Chadds Ford Wellness is that they believe that the key to a happy and healthy life is balance. Their mission is to help you achieve the balance you have been searching for. They can do this by managing the aging process by replacing the hormones that you have lost over the years to help achieve levels equivalent to where they were when you were younger, and also by replenishing the collagen, hair, and/or sexual function that you have lost over time due to aging, stress, trauma, or surgery. By doing so, they can help restore your body and mind to not only improve the way you look, but also the way you feel and function. Chadds Ford Wellness is located at 1788 Wilmington Pike, Glen Mills, PA. Call to schedule an appointment 1-610-459-4200.